Service is central to all that we do at UNIS Hanoi and so what better way to celebrate our commitment to a Better World than as a community! Building on last year’s successful pilot event in May, we are organising two events this year and the first is coming up next weekend. The goal is for students, faculty, parents and alumni to enjoy giving back to our community together and we hope that you will join in. Sports afternoon with visiting local children at UNIS Hanoi (14:00 – 16:00). Spaces limited to 10 Sunday Service volunteers (Any ages. Children under 10 must be accompanied by an adult or older sibling). Organic Gardening with our High School team (14:00 – 16:00). Spaces limited to 12 Sunday Service volunteers (Any ages. Children under 10 must be accompanied by an adult or older sibling). 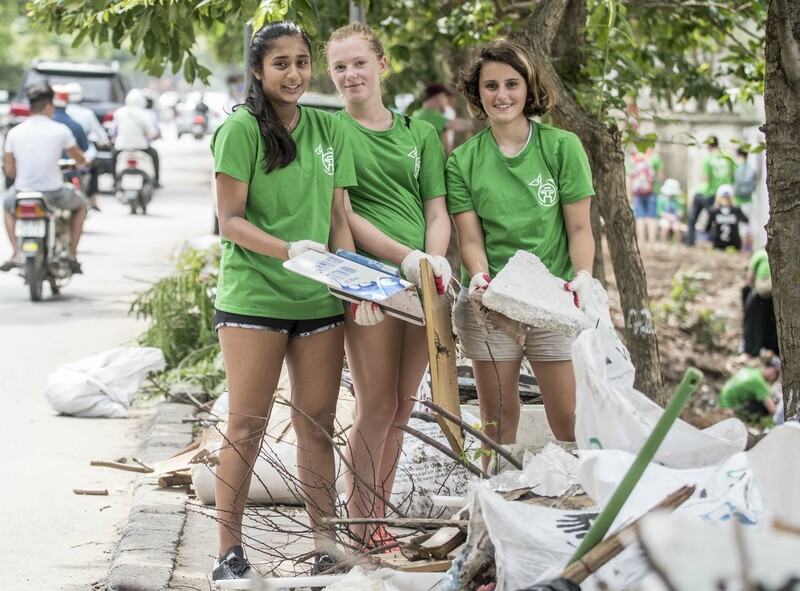 And next week we will be publishing detailed itineraries and information on the UNIS Hanoi Sunday of Service website – look out for it under Community Life!